a list of things to organise. they take care of all funeral issues. prefer to take care of matters on their own. compliment that provided by the funeral director. 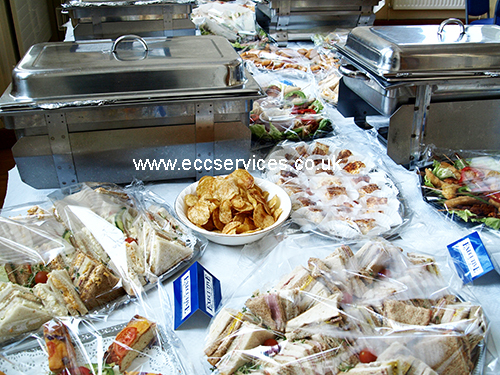 The company has years of experience and their professional attitude towards funeral catering has transformed the company into one of the region’s biggest funeral catering firms. 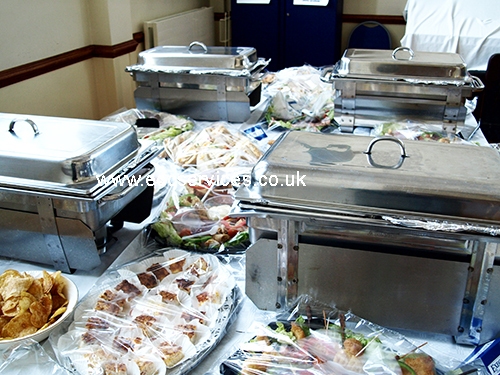 In partnership with Stuart Wright Funeral Services the company has built a series of strong relationships with individual funeral venues, providing catering for Stuart Wright’s funerals, some of which have been in the Washington and Sunderland area. Open Danish Sandwiches - a fine selection of sliced French baguette topped with both vegetarian and meat choices. Typical toppings include, cheese savoury, tuna mayonnaise, egg mayonnaise, cream cheese and tomato, beef and mustard, ham and peas pudding, pork and stuffing, turkey and cranberry and chicken tikka. Bread Sandwiches - buttered and sliced white and brown bread sandwiches filled with a variety of vegetarian and meat fillings. 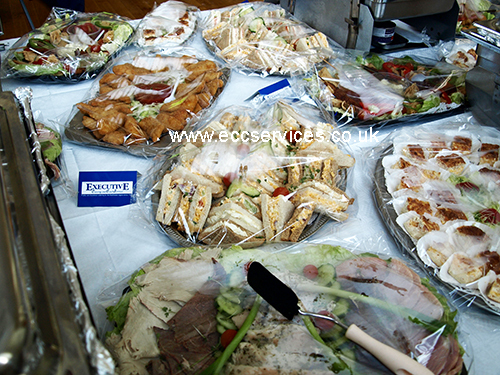 Generally the fillings include cheese savoury, tuna mayonnaise, egg mayonnaise, cream cheese and tomato, beef and mustard, ham and peas pudding, pork and stuffing, turkey and cranberry and chicken tikka. These sandwiches are presented with cherry tomatoes and sliced cucumber. Mini Sausage Rolls - freshly baked pocket- size sausage rolls. These are served cold and are smartly presented on a bed of iceberg lettuce, decorated with cherry tomatoes and sliced cucumber. A Selection Of Madeira, Ginger And Chocolate Cake - a fine selection of some of the nation’s best loved cakes. This menu selection is guaranteed to be a big hit with guests even on such a sad occasion. 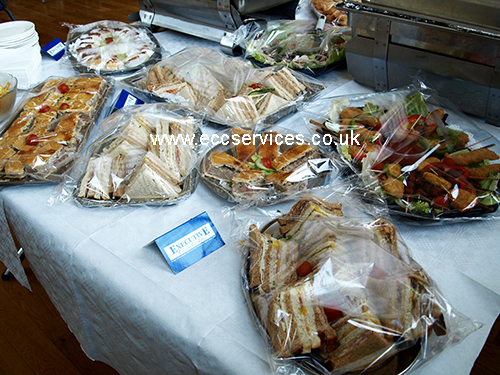 If requested cake selection can be customised to suit the needs of those in attendance. A Selection Of Mini- buns - an array of both white and brown mini-buns buttered and then stuffed with a large range of fillings. 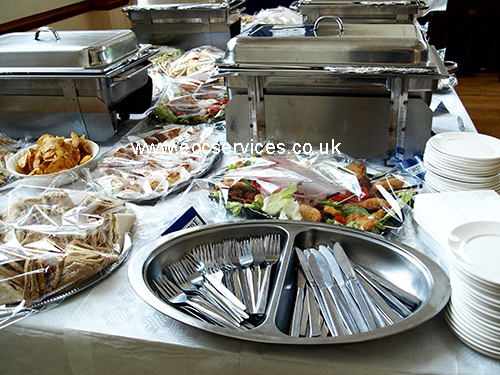 Typical fillings include cheese savoury, tuna mayonnaise, egg mayonnaise, cream cheese and tomato, beef and mustard, ham and peas pudding, pork and stuffing, turkey and cranberry and chicken tikka. Cheese And Onion Pie - freshly baked cheese and onion pie, sliced into fingers and presented in a paper case. 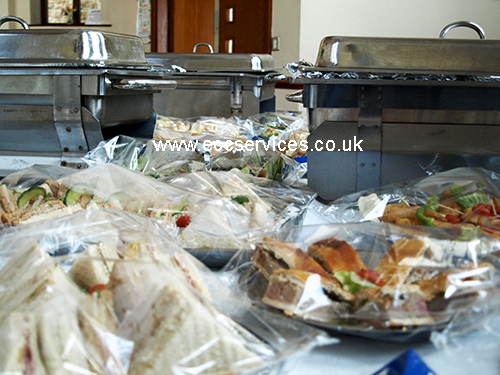 This selection is always popular and has been provided at several funeral buffets in Sunderland over the years. Fruit Scones With Strawberry Jam - a selection of fruit scones presented with butter portions and a variety of different flavours of jam. This option can be combined with another from a different menu for additional dessert options at your Sunderland funeral buffet. Bread Sandwiches - buttered and sliced white and brown bread sandwiches filled with a variety of vegetarian and meat fillings. 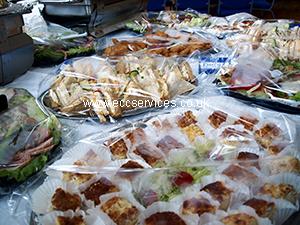 Generally the fillings include cheese savoury, tuna mayonnaise, egg mayonnaise, cream cheese and tomato, beef and mustard, ham and peas pudding, pork and stuffing, turkey and cranberry and chicken tikka. These sandwiches are presented with cherry tomatoes and sliced cucumber. Quiche Lorraine -freshly baked quiche cut into finger slices and presented on a bed of iceberg lettuce. This funeral buffet option is again decorated with sliced cucumber and cherry tomatoes. Steak Pie - homemade steak and gravy pie sliced into fingers and presented in paper cases. This selection is certain to please guests at a funeral despite the occasion. Fresh Cream Cakes- although funerals are not a time for celebration cream cakes are still a popular choice, in Sunderland and all over the North East. From éclairs to profiteroles, this selection will have something for everyone. All menus can be combined and also added to with options from our food platter menus. Plates, table covers, napkins and delivery are all included in the price with the company offering a complimentary setup service, be this at someone’s home or a private venue. 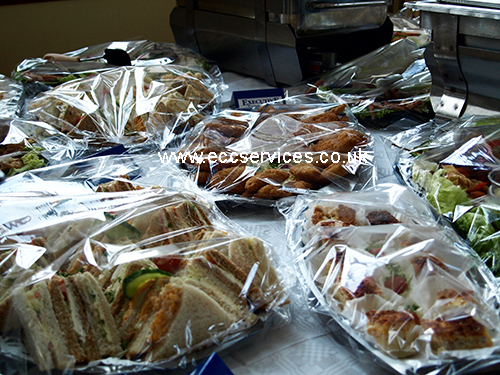 At an additional cost Executive Catering Services can also provide a tea, coffee and waitress service. The waitress will provide assistance with the setting up of the venue, the serving of the refreshments and also the post- funeral clean up. This option has been very popular at funerals in the Sunderland area in the past. For information on other funeral services such as glass hire, table hire, flowers and table decorations in the Sunderland area speak to our dedicated assistant Philip. He can be contacted on 01913863682.